Leura is a small scenic town located in the Blue Mountains region, just 90 minutes’ drive from Sydney. A charming, quaint and peaceful town, Leura is a must-visit for visitors to the Katoomba area. The picturesque Leura mall is made up of a collection of delightful cafes, restaurants and specialty retail shops, framed by the gorgeous trees that blossom year-round. Leura is famous for its open spaces and gardens, many of which are open at selected times of the year. Get a feel of the area by exploring on foot or car – from the Everglades Gardens to Leura Cascades, you will feel as if you were a world away from the hustle and bustle of the city. Feel welcome at one of the hotels offered by AccorHotels and our partners in Leura. 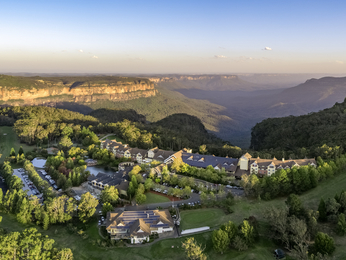 Discover our selection of luxury to budget hotels in Leura for your next business trip, family holiday or weekend break.